When I think about the library it’s the most desirable place with that exact necessary silence, numerous wonderful books, cozy and comfortable chairs. And let me be specific, I get that perfect ME time in the library, away from kids. Generally, for visiting the library, I have to leave both the kids at home with their daddy. But now I don’t need to go without them, as it has an Indoor playground, especially for kids. 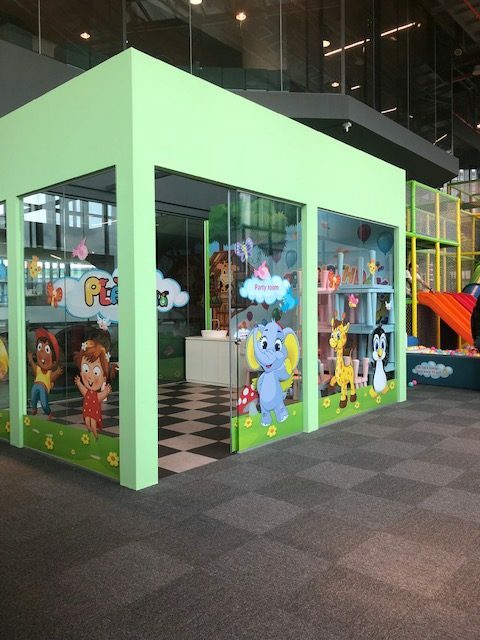 Yes, Tampines library has an indoor playground inside the library – Playtopia. Now you can visit a library with kids without any worry. The playground is well designed with pleasant and colorful surroundings. It has tall slides, Ball pits, trampoline, climbing frames, swings, and the party room. Literally, thousands of colorful plastic balls make it look so inviting that you would also feel like jumping in it. 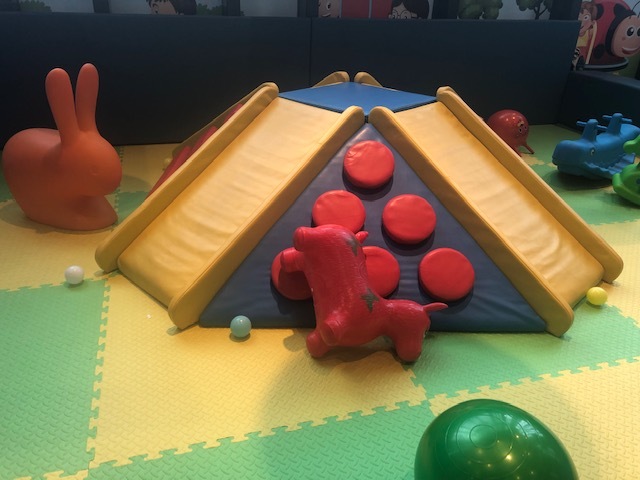 Kids can get fully immersed in the ball pits and slide down into them as well. My girls couldn’t stop jumping on the trampolines in the jump section. It has very comfortable trampolines at one dedicated corner. The climbing frames have obstacles but it’s safe to climb. 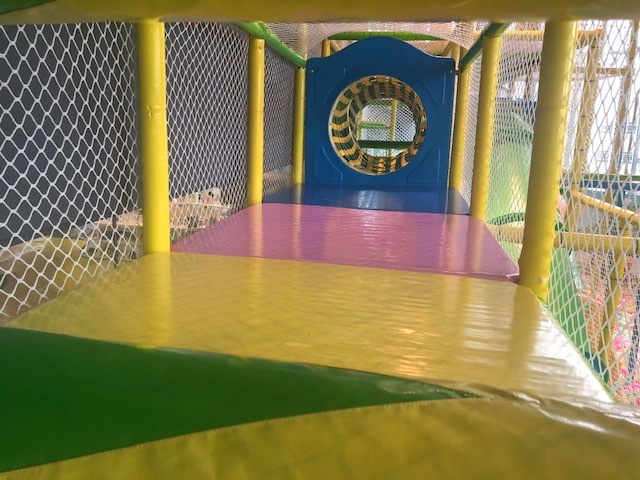 small children can also climb the frame and take tunnel slides easily. But if you have a toddler, it’s better to supervise and help them for climbing. Actually, it has a separate toddler play area also, where toddlers can take little slides and rides. Parents and caregivers can seat while kids enjoy their playtime. Not only playtime but also you can have your child’s birthday party in the party room at Playtopia. 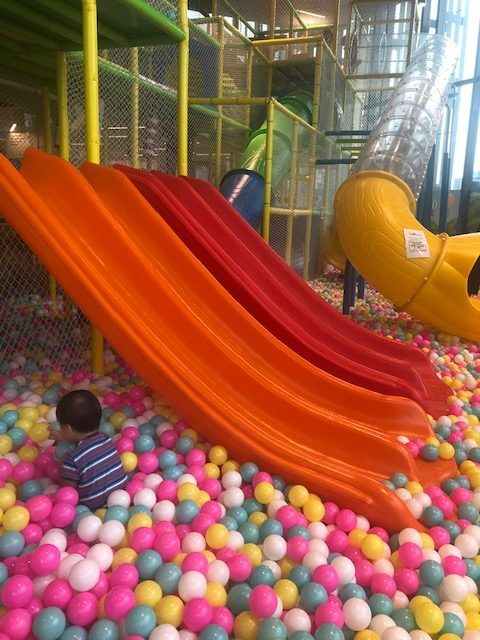 So indoor playground Playtopia is truly worth a visit and when are you planning to visit this interesting place? 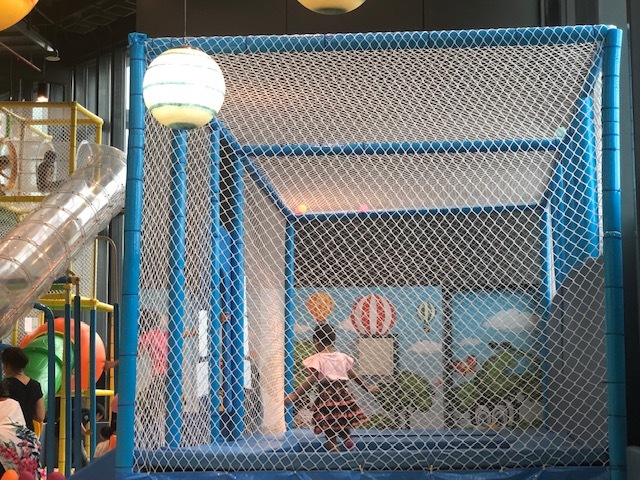 30 Best indoor playgrounds for kids in Singapore Princess’s 8th birthday party at explorer kid Sara’s act of kindness How To Save Your Kids From Dangerous Indoor Air Pollution?